The California oak and Western meadowlark are the focus of this exhibition, which includes textile drawings created by Mara Lonner as well as monoprints and a wrap-around wall painting created specifically for the show. The work for Mara Lonner: So much, nothing began with a conversation between Lonner and Kimball Garrett, Ornithology Collections Manager at the Natural History Museum of Los Angeles County, who said the most critical threat to native birds in this region is the loss and fragmentation of natural habitat. The riparian and coastal tidal wetlands, oak savannahs and grasslands that once constituted the local landscape have been mostly destroyed by development. Resident species of native birds, once abundant in these habitats, have declined in population and/or left the area. Although migratory birds may fly through Los Angeles County on their way to other environments to nest and flourish, this region has become “negative space” for these animals. The pieces in Lonner’s exhibition correlate the missing birds and native habitat. Her exhibition will be on view at the Theodore Payne Gallery through June 27. Lonner will teach a nature sketching workshop related to her exhibition. Learn how to see and record nature in this special workshop for beginning artists. Located on 22 acres of canyon land, the Theodore Payne Foundation for Wild Flowers and Native Plants, Inc. was established in 1960 and is dedicated to the understanding, preservation and use of California native flora. Clockwise from above left: Assemblage, watercolor and pencil on Kelmscott vellum by Kate Nessler, 2014, 30.5 × 22″, © 2014 Kate Nessler, All rights reserved; Bird Nest Series No.1, colored pencil on paper by David Morrison, 2014, 13 × 19″, © 2014 David Morrison, All rights reserved; Woven Trees, archival ink-jet print from 2.25 film negative by Sue Abramson, 2014, 24 × 24″, © 2014 Sue Abramson, All rights reserved; Epilogue, watercolor on Cowley’s veiny calfskin vellum by Wendy Brockman, 2014, 27 × 23″, © 2014 Wendy Brockman, All rights reserved. The Hunt Instutute invites you to view Elements! The exhibition Elements features drawings and watercolors of bird nests with a focus on the natural and man-made materials incorporated into these architectural structures. Photographs of forest understory will transport the viewer between the landscape and the ephemeral artifacts that signify the remains of a cycle of building, incubating, nesting and fledging. The featured artists are Sue Abramson, Wendy Brockman, David Morrison and Kate Nessler. The creators of these drawings and watercolors of bird nests and photographs of transitional landscapes are inspired by the relationship of the nest to time, place, music and architecture. Each artist has imbued the structures and the materials used and the locations and environments where built with their individual insight and perspective. Also included in the exhibition is a selection of birds, nests and eggs on loan from the Carnegie Museum of Natural History. Pittsburgh artist Sue Abramson’s photographs of the Frick Park woodlands are a response to the raw materials in nests and the extraordinary visual chaos of these habitats. Minnesota artist Wendy Brockman’s watercolors of nests, eggs, feathers and plant materials are rich with nuance and complexity and speak of time and place. Indiana artist David Morrison’s colored pencil drawings are an exploration of the issues of existence, regeneration and obsessiveness through his examination of the layers of natural and found objects that compose the architectural structures of nests. Arkansas artist Kate Nessler’s watercolors are expressive of symphonic movements, and they reflect the intrinsically creative and practical use of disparate materials that are woven to create a space of strength and balance that are essential for survival. The opening reception on 19 March (5–7 pm) is open to the public. Beginning at 5:30 pm each of the four artists will introduce their work in the Elements exhibition. This is an opportunity to meet all the artists. On Friday, 20 March, 10 am–noon and 1–4 pm, visit the gallery at any time during the designated hours and talk one-on-one with three of the artists. Abramson, Brockman and Nessler will be available to discuss their concepts and process and will display their materials, and Brockman also will demonstrate her painting technique. This event is free and open to the public. Our annual Open House on Sunday, 28 June (1:00–4:30 pm) will include the talk “Nest structures of North American birds and the materials used in their creation” (1:30–2:30 pm) by Patrick McShea, program officer and educator, Carnegie Museum of Natural History, and tours of the Elements exhibition and the reading room (2:30–4:00 pm). This event is free and open to the public. The Cabinet of curiosities in the Hunt Institute lobby will display bird illustrations from the Library’s rich collection of natural history and art books, including Mark Catesby’s (1683–1749) exquisite folio, The Natural History of Carolina, Florida and the Bahama Islands (London, the author, 1731), and works by microscopist Marcello Malpighi (1628–1694), natural historian the Comte de Buffon (1707–1788) and the artist George Brookshaw (1751–1823). The exhibition will be on display on the 5th floor of the Hunt Library building at Carnegie Mellon University and will be open to the public free of charge. Hours: Monday–Friday, 9 am–noon and 1–5 pm; Sunday, 1–4 pm (except 3–5 April, 3 May and 24–25 May). Because our hours of operation are occasionally subject to change, please call or email before your visit to confirm. For further information, contact the Hunt Institute at 412-268-2434. Leslie Watkins is a well known botanical illustrator and landscape painter, with 30 years of practice and teaching. A very popular instructor, she is also the founding director of the NWCT Berkshire Plein Air Painters. Learn techniques of traditional watercolor as used by the masters. Develop your skills and add to your portfolio as you paint. This class will provide the student with the confidence and ability to maintain a personal record of the natural world, with the intent to use it as a foundation to create works of art. Elements of painting such as drawing, the movement of light, mass conceptions, depicting form, creating depth, and atmospheric perspective will be taught. Traditional English watercolor techniques will be demonstrated, as used by J.M.W. Turner, Beatrix Potter, Albrecht Dürer, and Pierre Joseph Redouté. Students at all levels, including beginners will enjoy this relaxed and illuminating class. More experienced painters will hone their craft and receive constructive criticism. Plenty of individual instruction and live demonstrations will be given. Bring any watercolor supplies you may have on hand, additional materials will be available for purchase. This class will meet at Dandelion Cottage, 281 Litchfield Road, Norfolk, CT 06058. This information has also been posted to Classes Near You > Connecticut. Terrific Tuesdays, will be returning on June 17th! Children and parents will enjoy up to 12 weeks of savory snacks, rousing read alouds, kid creative crafts, and spectacular science! Join us every Tuesday as we learn how to turn banana peels into lettuce, how to use the sun as our very own personal paint brush, and how to make nature journals to document our exciting new adventures. Register now to reserve your spot and we promise to make this a worthwhile summer. Pre-registration required! Parents may choose from one of two 6-week program options (June 17 – July 22 or July 29 – September 2), as well as sign-up for all 12-weeks! Questions? Comments? Cannot wait to join us? Please do not hesitate to contact Mariel, the Youth Education Manager by email or at (925) 947-6712. We look forward to spending Terrific Tuesdays with you and your little loved ones! 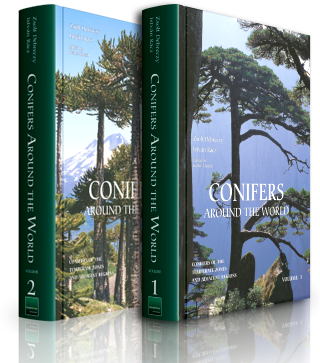 Learn more about the special limited edition of The Natural History of Carolina, Florida & the Bahama Islands. Will you be visiting Richmond, VA this month? Lewis Ginter Botanical Garden in Richmond, VA. Normally stored in the Royal Collection at Windsor Castle, these remarkable works about the natural history of North America will be on view through June 1, 2014. 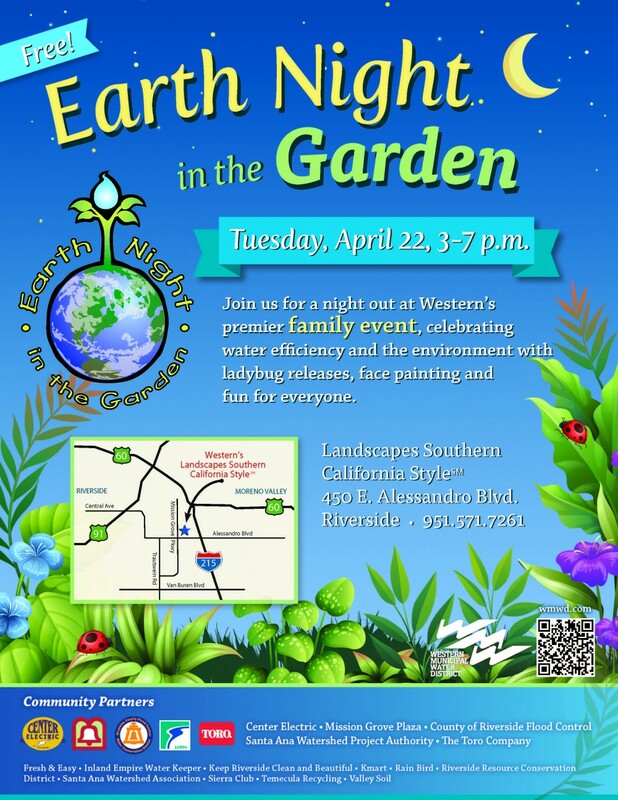 Celebrate Earth Day and water efficiency at this very popular community event in Riverside’s Mission Grove neighborhood. Lady bug releases, raffles and lots of hands-on learning with ArtPlantae and many other local businesses and educational organizations. Landscapes Southern California Style is a demonstration garden operated by the Western Municipal Water District. It is open daily, except holidays. What types of things can you learn and do at the garden? Find out in this Plants, Life, Riverside article. Looking for inspiration and adventure? Artist Andie Thrams has announced her teaching schedule for 2014. Take a look! This information has been added to Classes Near You > Northern California.